Skip the Line - Vatican Museums, Sistine Chapel & St. Peter's Basilica. Enjoy a local guided tour of the Vatican Museums, the Sistine Chapel, and St. Peter's Basilica, skipping long entrance lines. Duration of tour: 3 hours 30 mins. The Tour Take a tour of the Vatican Museums and the Sistine Chapel, jumping the lines! No stress to reach the area: upon arrival, your guide will lead you into the museums, where you will visit one of the most important art collections in the world. Admire the Gallery of Tapestries and the Geographical Maps before arriving at the famous Sistine Chapel and the unforgettable Basilica. Includes Pick up from your hotel centrally located, skip the line and entrance ticket, guide service, headsets. 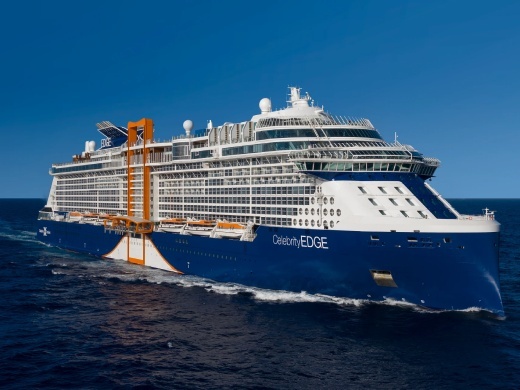 Celebrity EdgeSM marks a turning point in the approach to ship design. From the very first sketches to experiencing those designs in a virtual reality setting, every step was done in 3-D. From the incredible new Magic Carpet to the private plunge pools in the new 2-story Edge Villas, Celebrity could design the most refined ship at sea. The unique outward facing design breaks from traditional ship design. Aboard, you’ll feel more connected with the sea and the places you’ll visit in a variety of spaces ranging from the Edge Staterooms with Infinite VerandasSM, to the reimagined, terraced pool deck that offers even greater views of the destinations and shimmer of ocean.